Yup, we always say this in Mandarin that is '吃玻璃长大'. I joined WP since 2006 and I can say that I'm one of the regulars who will turn up on Sunday. Not every week but at least 70% of the time. On Sunday, regardless of whether our members had any prior sales experience, will give our all to sell the paper and sometimes if the public wishes to, we engage them further. What is most encouraging is uncle Eng Tor who is in his 70s will join us too. That kind of dedication and enthusiasm he displays is worth mentioning again and again. With that, they will drop in their money into our tins and buy themselves the paper. People who bought our papers are mainly age 40 and above. It makes me wonder why the younger ones are not interested. Was it because they can get information from the Internet or it's simply Bo chap? I hope is the former. Apart from the people who are involved in the selling process, the 'Hammer' has an editorial team. This team will edit and screen through all submitted articles before sending it for design layout. The layout will then be done together with photo selection. The last step is to send it for colour proof and eventually publish the paper. All these are done in house except for printing. Having known the processes that the paper went through, it makes me appreciate it even more. A smile is good enough, really. Since the first YouthQuake forum organised by the Workers’ Party Youth Wing (WPYW), the issue of lowering the voting age to 18 has been one that is being discussed frequently amongst the WPYW. The first YouthQuake forum triggered some discussions online and in the newspaers, and even a Parliamentary question was raised, but as usual, it was easily dismissed with a not-so-convincing argument. When the electoral reforms like increasing the number of NCMPs, and the addition of the Cooling Off Day were announced a few months ago, the WPYW ExCo were thinking – this will be a good time to bring the issue up again, since the lowering of voting age is also closely related to electoral reforms. We went about planning for street surveys to gather the thoughts of people on the issue, and also plan to carry out a number of petition signing public outreach to gather support for this. However, one obstacle we meet along the way is that we realised that what we are planning could possibly require a police permit or some sort of license under the Public Order Act, since a gathering or assembly to demonstrate support for or opposition to the views or actions of any person, group of persons or any government or to publicise a cause or campaign falls under the Act. Not wanting to take chances, I have gathered our planning documents and just wrote an email to the Police Licensing Division minutes ago to enquire on the matter, as President of WPYW. Hope that I have a favourable reply soon and clear indications the next steps we can take. On Wed morning, 21st Apr, I went to work as usual via the NEL from Potong Pasir. Nothing was unusual until I reached the platform to find more than usual commuters waiting for the train. 'Train late again...' was what I thought to myself. Because it isn't the first time that the train was delayed for about a few mins. Like everyone I walked to my favourite spot to wait for the train. It was until the wait seem to take forever then people start to show their frustration. Another 5-10mins later, the station officer then announced via the PA system that train going towards Harbour Front will be delayed. I can then sense the uneasiness and frustration that some of the commuters are experiencing because I was one of them! Exactly at this moment, a train arrive. No prize for guessing this right; the train was packed, very packed! I don't know how, but I manage to squeeze myself in only to realize that it was a big mistake when the train stopped at Farrer Park. The door was open for commuters to step in then close for taking off to the next station. The train did not move. It was simply stuck there with no announcement or whatsoever for at least a good 15 mins. People in the train including myself, started to call office to report late for work. Btw I was busy tweeting away about my frustrating train ride. Very funny!!! With the doors closed, try other modes of transport! How? After that, the train started to move again! Just before it moved off, I heard this via the PA system. When the train arrived at Little India, the door was opened and YES, everyone walked out. All of them looked lost and confused, not knowing what alternatives can they proceed with. I was fortunate enough to overhear someone said 166 goes to the destination where I'm going to. Hence, I merely followed them. And the usual 20 mins train ride to work took me 1-1/2 hours that day. A friend of mine was stuck with the door closed in Serangoon for 20 mins with no announcement at all! Another one had the same experience from Hougang station. - Anmouncements should be clear and exact. Don't just say train will be delayed, how long??? - Person making the announcement sounded uncertain, no confidence. - Anmouncements should be timely. To be stucked inside the train for 20 mins without any announcement is ridiculous! This incident is enough to show that SBS Transit staffs are not equipped with the right skills set to even manage minor situations as such. Very disappointing! In my opinion, this letter could be from a really frustrated resident in Sengkang. SINGAPORE - Even before the date for the next General Election has been announced, a poison pen letter has surfaced in Sengkang. Written on a piece of A4-size paper in both English and Mandarin, it has been stuffed into the letter boxes of residents there, apparently since last week. In it, the anonymous author accuses the People's Action Party (PAP) of being responsible for the high cost of living and the 7-per-cent GST, among other complaints. The police said that a report has been made, and investigations are in progress. MediaCorp understands that this case falls under the Sedition Act, where the offender could be fined up to $5,000 and/or given a maximum jail term of three years. When Ms Ong K C, a Sengkang resident, opened her mailbox on Monday evening, she was surprised to see the letter. Alerting the media yesterday, the administrator, who is in her 40s, said "the comments made in the letter are subjective, and they cannot represent the voice of the masses". While she does not support any political party, Ms Ong said this is not an appropriate way to air one's dissatisfaction. Her Member of Parliament in Pasir Ris-Punggol Group Representation Constituency, Mr Charles Chong, who had heard about the letter, said its statements were "too broad and general to be addressed". He added: "Residents can read it and decide for themselves if the comments are credible." Other MPs in Sengkang confirmed that their residents had told them about the letter. MP and North East district mayor Teo Ser Luck said: "For me, work goes on, and the letter won't change what we're doing to serve the residents." 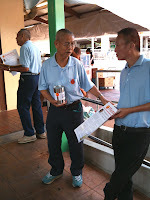 Yesterday, MediaCorp came across many letter boxes that had been stuffed with copies of the letter. Some could also be seen lying discarded in rubbish bins. The PAP headquarters said they are aware of the matter, and Ms Ong is not the only person to have informed them about the letter. 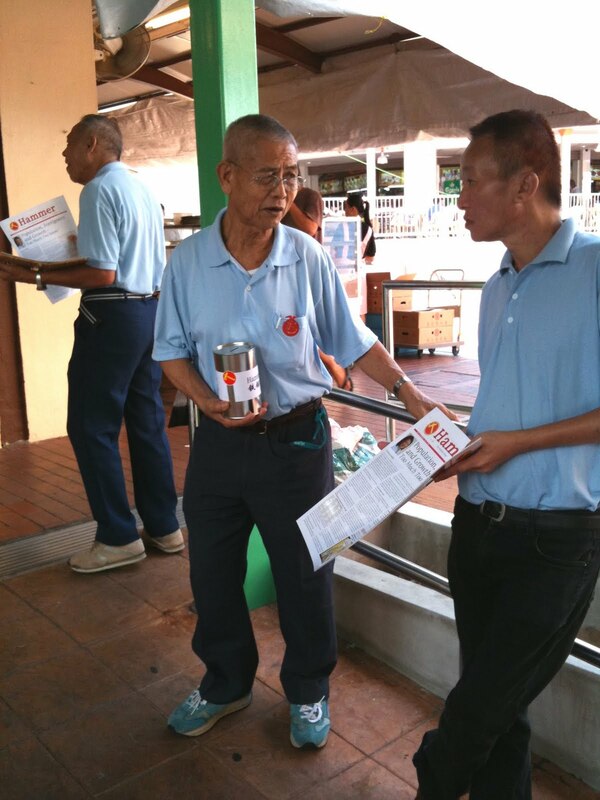 PAP HQ executive director Lau Ping Sum said they had received anonymous letters in the past. Since the Sengkang letter is an anonymous one, the HQ would not be pursuing the matter, Mr Lau added.